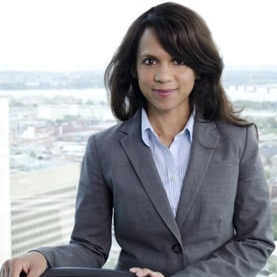 Janice Noronha is a partner within the Consulting and Deals practices of PwC Canada in Montréal, with a specialization in sustainability and climate change. She has more than 17 years of experience in sustainability issues, covering strategy development, program implementation, regulatory guidance, benchmark analysis, and performance reporting. She has also worked extensively in the areas of industrial ecology and life cycle management and operational process efficiency improvements. Janice is also involved with PwC’s Perspective North initiative, focusing primarily on the impacts of the plan Le Nord Pour Tous (The North for All) on Quebec’s sustainable development. Janice’s sustainability experience covers a wide array of industrial settings, with a focus on the mining, aerospace, transportation and logistics, and retail sectors. She has a post-graduate degree in public administration and holds a masters degree in resource and environmental management from Dalhousie University.